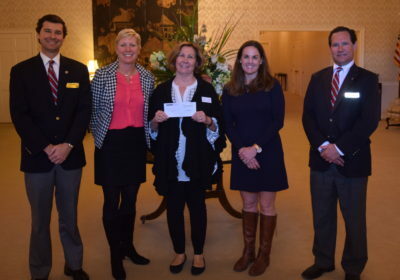 Fox & Weeks Funeral Directors presented Matthews Children’s Foundation grants in the amount of $1000 to Park Place Outreach Youth Emergency Shelter, Matthew Reardon Center for Autism and Girls on the Run of Coastal Georgia in February. 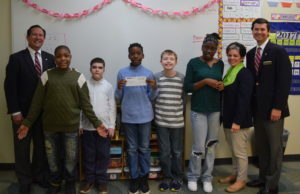 Fox & Weeks has now awarded nearly $30,000 in Matthew’s Children’s Foundation grants since 2012. 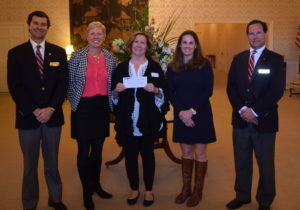 Each time a family purchases a casket at Fox & Weeks, a portion of the cost is donated to the Matthews Children’s Foundation in the name of the deceased and the accumulated funds are distributed quarterly through an application process to area non-profits benefitting children and children’s causes. 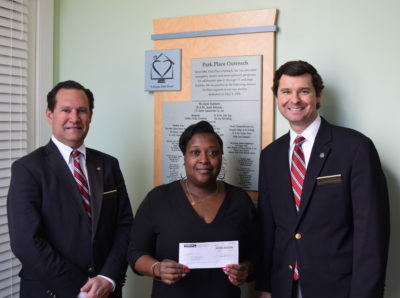 Park Place Outreach Youth Emergency Shelter provides support for troubled children and teens from Savannah and the surrounding area. The shelter is open 24 hours a day to youth in crisis, adolescents who are homeless, young people who have been abused, runaway youth, or those who may be contemplating how to run away. The Matthew Reardon Center for Autism is the only organization in southeast Georgia that operates an accredited, year-round education program for students with autism and one of only a handful of such programs in the entire state. Through its programs, intakes and consultations, MRCA provides assistance to children and families dealing with ASD and other developmental disorders in the immediate Coastal Empire and beyond. Girls on the Run of Coastal Georgia is an independent council of Girls on the Run International, which has a network of over 200 councils across 50 states and the District of Columbia. GOTR of Coastal Georgia was established in 2006 to serve Bryan, Chatham, Effingham and Liberty counties and has about 1,000 participants annually. To qualify for a Matthews Children’s Foundation grant through Fox & Weeks, an application must be submitted and an organization’s activities must be primarily directed towards the welfare and benefit of children. Any organization in the Coastal Empire with the primary purpose of providing for children’s needs is eligible to apply for a Matthews Children’s Foundation grant.